The Spiral Foundation offers an intensive mentorship training program for occupational therapists seeking an advanced level of knowledge sensory integration intervention. 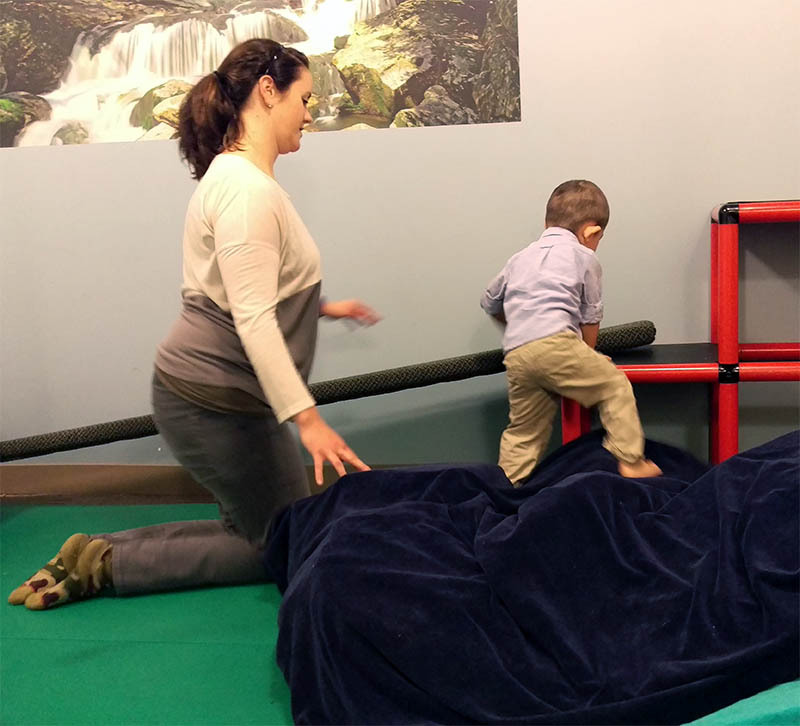 These five day program are offered twice a year and provide therapists with the opportunity to receive training in specialized areas of sensory integration practice and to receive hands-on intervention mentoring from experts in the field. Our unique focus on hands-on experience is designed to assist therapists in developing clinical reasoning skills and to better implement assessments and interventions. Our programs include participant guided lectures, small group discussion sessions and feedback from experienced clinicians. To ensure all participants receive individual attention and mentorship registration is limited to eight to ten therapists. We offer two levels of mentorship which are provided on a rotating basis. Periodic specialty mentorships are also provided. Courses are held in January and August. Audience: This course is most appropriate for therapists with introductory knowledge of sensory integration theory and intervention. This course involves a combination of hands-on mentored sensory integration intervention of children and/or adolescents with sensory integration and sensory processing problems followed by group clinical reasoning and processing. Clinical assessment of sensory integration is introduced as well as a combination of lectures on key aspects of sensory integration intervention. Group and individual mentorship and hands-on experience conducting sensory integration intervention under supervision of an experienced therapist will allow the participant to gain expertise in providing sensory integration therapy and fine tuning intervention to best meet the individual child’s needs. Audience: This course is appropriate for therapists working with children with autism spectrum disorder who have an intermediate knowledge of sensory integration theory and intervention. This intensive mentorship training focuses on addressing the sensory integration and praxis needs of children with autism. Clinical assessment of this population is introduced. Hands-on supervised intervention of children with autism is followed by group and individual mentorship. Daily lectures on specific topics related to sensory integration intervention of this population provides detailed treatment information. Participants will gain greater proficiency and comfort with intervention of this complex population. Audience: This course is appropriate for experienced therapists with a solid background in sensory integration theory and intervention looking to refine their intervention skills in this area. This intensive mentorship training will focus on developing the participant’s intervention skills in the area of praxis. Lectures will be include identification and intervention of specific aspects of praxis including ideation, motor planning, bilateral coordination and projected action sequences. Hands-on intervention will be followed by group mentoring, clinical reasoning and problem solving sessions. Participants will gain advanced skills in effectively addressing praxis problems in children with sensory integration deficits. This intensive mentorship training will focus on developing participant’s intervention and assessment skills of deficits related to visual-vestibular integration problems. A combination of lecture, labs, and hands-on supervised intervention will allow participants to gain expertise in assessment of vestibular deficits and oculo-motor screening as well as intervention of visual-vestibular problems. Hands-on intervention will be followed by mentored clinical reasoning and problem solving.